I absolutely LOVE this place! If I could give 100 stars I would. Had my daughter and son-in- law's reception there last September. I live in Ohio and trying to schedule and coordinate from 700 miles away was making me nervous. But working with Newberry was fabulous and the evening was a delight. They couldn't have been any better. TOP NOTCH !!! Highly recommend. Really awesome staff! The amount of hospitality they show to everyone they serve and come in contact with is huge. They are so professional and yet so down to earth at the same time. I know for sure where I will have my next event here in Aiken! 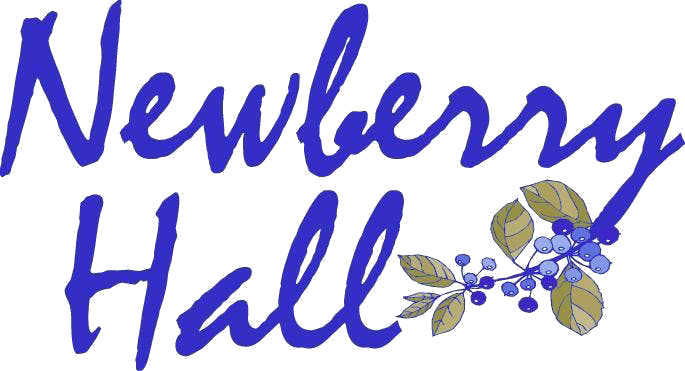 Newberry Hall is one of the premiere catering facilities in Aiken County. Whatever your dining pleasure, they can and will accommodate. The staff is very professional. The cuisine is most delectable. The facility is gorgeous.Try Newberry Hall. You will be pleasantly surprised! As a corporate events coordinator and meeting planner, I always look for dependability and quality of service, along with value pricing, when working with local vendors. In Aiken, Newberry Hall consistently exceeds these objectives. When our guests arrive at Newberry Hall, I know that they will be greeted and treated with courtesy and respect while enjoying a high quality of catering. As the local education foundation serving Aiken County and its public schools, Public Education Partners hosts several events for educators, business people, and the public throughout the year. Newberry Hall meets all our needs - a beautiful venue, professional staff with great ideas, and delicious food attractively presented. Whether it is the Teacher-of-the-Year Banquet or the kick-off to a fund-raising campaign, I know that I can attend our events and relax - the service will be unobtrusive and efficient and our guests will enjoy themselves. Thanks to the whole crew at Newberry Hall! Citizens for Nuclear Technology Awareness (CNTA) has worked with Newberry Hall for a number of years and has never been disappointed with the food or the service we receive. The food is always delicious and their staff have always been very helpful, well-dressed and trained. The entrees and desserts are wonderful. We can’t say enough good things about them. Patrick and I thought the ClubJazz evening was spectacularly successful partly because of the accommodating service you and your crew extended to us. We received many compliments on the setting, the food, and the service. Most important, you two are so easy to work with, always pleasant and willing to make concessions or adaptations as needed. Thank you for your delicious dinners and lunches and your efficient staff. We love Newberry Hall! For several years, it was my pleasure to work with Newberry Hall arranging luncheon meetings and holiday functions for the Aiken Republican Club. Their cooperation, consideration, and attention to detail was nothing short of outstanding. During a recent renovation period, the constant question each month was "when can we get back to Newberry Hall." The new facility was well worth the wait! Kudos to the entire Newberry Hall staff. Newberry Hall has provided the perfect venue for our monthly membership meetings. Business is taken care of effortlessly due to the ease of the audio-visual system and wireless internet connection. We celebrated our 40th Anniversary Party there in July, and were so delighted with the elegance of the room, the presentation and quality of food and the attentiveness of the staff, that we are also planning to hold our Christmas Party at Newberry Hall this December!" It is great to do business with a caterer where you know you will get what you want, (and more) on time, every time, at a reasonable price, and where the quality always exceeds your expectations. It totally takes the worry out of my job.